The race will start from Whitetop the beginning of the Virginia Creeper Trail with 9.8 miles of downhill to the first aid station Taylors Valley. These miles are effortless and offer some of the best views of the national forest. From Taylors Valley you continue downhill for another 6.9 miles to the town of Damascus and what will later be the finish. From Damascus you will travel to the small town of Alvarado where the aid station is located. Between Damascus and Alvarado there are tales of a magic broken pepsi machine that dispenses magical potions ! 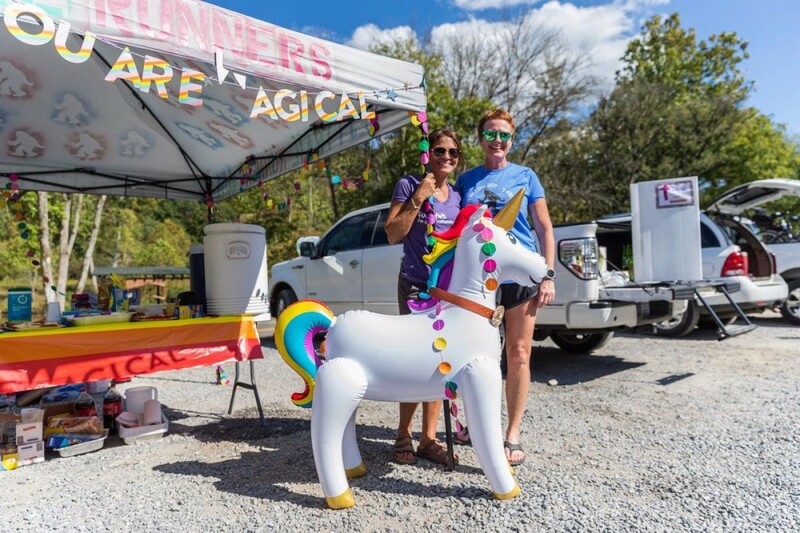 From Alvarado you will continue to Abingdon Station which marks the end of the Virginia Creeper Trail.Runners will turn around at the Abingdon aid station and make there way back to Damascus for the finish !! !